At Hopetoun, we understand the importance for businesses and organisations in finding the right environment in order to gather with colleagues, communicate with clients and reward staff. 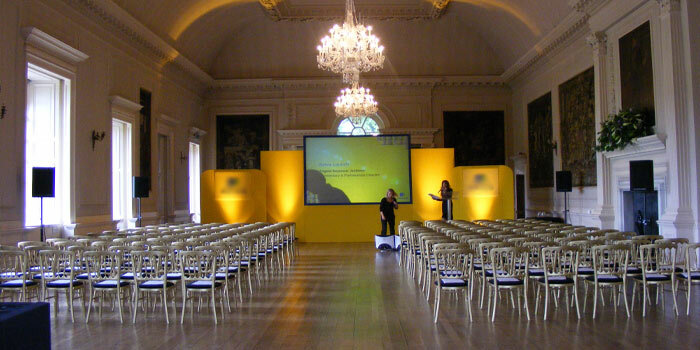 This is more essential than ever before and ensuring you get the best from your meeting or conference is our expertise; our high standard of service will guarantee your event is an unqualified success. Hopetoun is truly a conference venue with a difference; your delegates and colleagues will feel they have escaped to another world and be able to relax and focus on the business in hand. Hopetoun House is elegant and classic, with stunning interiors flooded with natural light, yet offering all that is required for an effective working environment; excellent food, extensive free parking and close proximity to motorway and airport connections. There is a selection of rooms and packages to suit all requirements, from small intimate meetings to large scale conferences. Surrounding Hopetoun House is 150 acres of grounds and a further 6,500 acres of beautiful estate which can offer a range of activities and pursuits to add value to your meeting.